Hoops fans, it’s about to be a great night of Sweet Sixteen action as we have four interesting games on the slate tonight. Beginning at 7:15 EST we have Marquette vs. Miami (FL) followed shortly thereafter by Arizona and Ohio State tipping off at 7:47. In the late action tonight we have a matchup of traditional powerhouses in Syracuse vs. Indiana, and the final game of the night brings together two relatively unheard of schools in LaSalle vs. Wichita State. Cadougan! 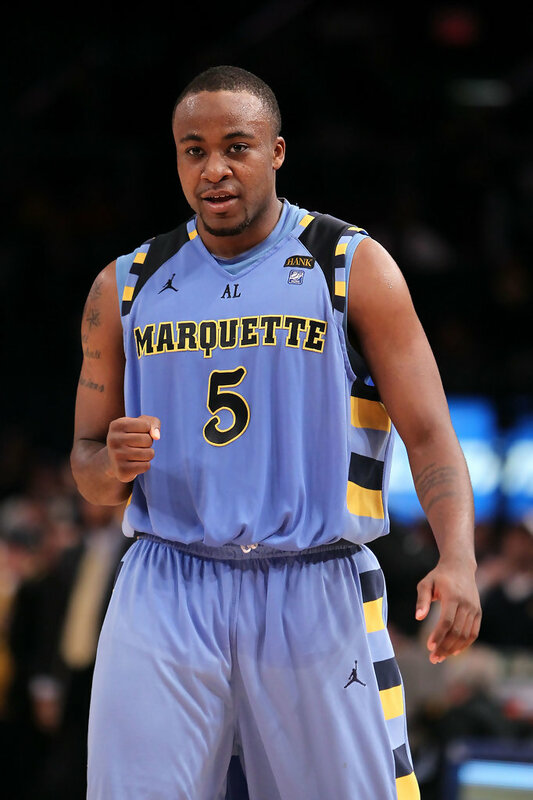 Admit it, you can’t get through a Marquette game without saying the last name of Marquette’s Senior guard, #5, Junior Cadougan, to yourself a few times. It’s an awesome name, and he’s been backing it up with some quality (not great, but knows his role) basketball thus far in the tournament. Tonight Cadougan and the Marquette bunch face a tough test in the ACC Champion Miami Hurricanes. Miami will be without their big man (and beast) Reggie Johnson who did not travel due to injury, but they have a legitimate championship caliber squad even without him. Miami point guard, Shane Larkin (yes, the son of Barry) runs an exciting brand of basketball through his 5’11”, 176 pound frame and big man Kenny Kadji has been a main benefactor in this crazy year of Miami basketball excellence. While the winner of the game between Arizona and Ohio State will be a strong favorite to reach the Final Four, tonight’s game will be about staying in the moment. Both of these teams have had wild rides to get to this point and for that to continue leaders need to step and make plays. By now everyone knows what Aaron Craft for Ohio State is capable of, but it might be DeShaun Thomas’ night to be “the man” since he is Ohio State’s leading scorer this year. For the Wildcats the pressure will fall on point guard Mark Lyons to try pull off the upset, but ultimately I think Ohio State will just be too much for Arizona to manage. The Orange barely made it off the bus the last time they played in Washington D.C., losing 61-39 to Georgetown three weeks ago. 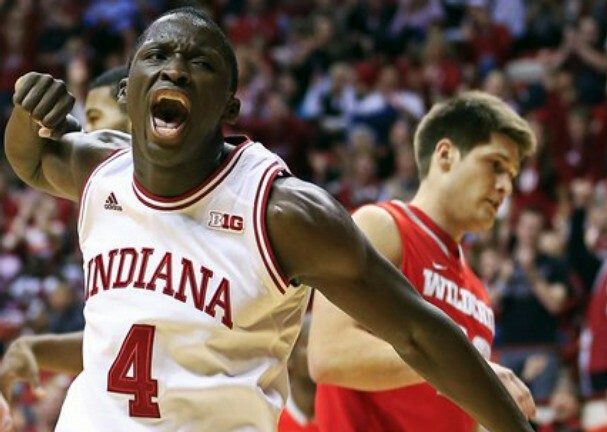 Tonight Jim Boeheim and tonight his boys are back in the Verizon Center to face an even tougher challenge in Cody Zeller, Victor Oladipo, and the IU Hoosiers. There will be a ton of NBA potential on the court tonight, probably as much as an actual Wizards game. I really hope that this game is a dogfight as it does have the potential to be an all-time classic game, but I do fear that officiating may play a bigger role than necessary this evening. Hopefully it does not, as this game could get very, very exciting if any player finds “the zone”. I’ll level with you, the only action I’ve seen of these two teams this year has been in the tournament. I don’t know much about either of these teams besides the fact they have busted thousands of brackets and became an interesting storyline this March. A 13 and a 9 seed actually meeting in the round of 16 shows you how crazy this year in college basketball has been. Some may say that this matchup speaks of the great parity in the sport today, but it’s possible to argue that it’s more an example of great mediocrity. Either way it would be for the sport if this is an exciting game tonight. The matchup to watch will be from the perimeter. 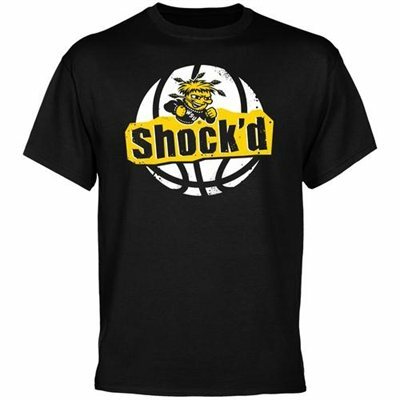 In Wichita State’s upset of Gonzaga they went 14-28 from three-point land. LaSalle takes pride in their perimeter defense allowing just 28.4 percent during their conference schedule this year in the A10, so keep an eye this facet of the game. Watch out LaSalle, the NCAA has shirts to sell. This entry was posted in College Hoops, NCAA and tagged Basketball, College, College Hoops, March Madness, NCAA, Sports. Bookmark the permalink.